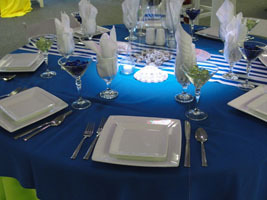 Party rentals are an ever changing part of the rental business. Our staff is trained to recognize the changes and trends in the party industry. 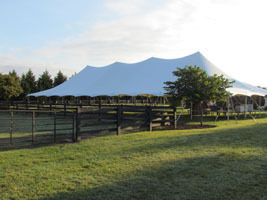 We strive to provide you with quality event rentals to make your event special. Our party consultants continue to add linens, tableware, and candelabras to our inventory to meet the needs of our customers. 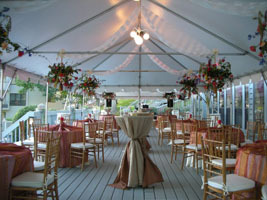 In addition, we carry a large selection of wedding and party canopies, tables, chairs and dance floors. 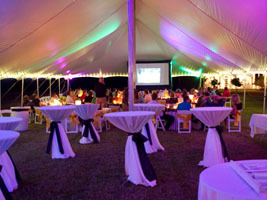 We have tent lighting to add elegance to any special event. Visit our experienced staff in the store for advice on how to design your party or wedding with just the right rentals for both inside and outside events. We proudly serve the Roanoke Virginia, Bedford, Smith Mountain Lake, Botetourt County, and Vinton VA areas, from our convenient location in Vinton VA.